When a person sets out to work in a community, to devote one’s life to making that community better, that person takes on a great deal of work. Often, the only way to succeed is to have an underlying motto – a feeling that you live by. 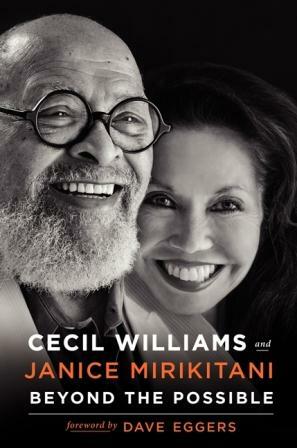 In Beyond the Possible, the story of Cecil Williams and Janice Mirikitani, that theme is unconditional love. For Williams, whose life has seen violent racism against minorities and utter neglect of those most in need, this motto is both his lifestyle and also how he organizes in his community. That community is San Francisco’s Memorial Glide Church. Once at his post at Glide, Williams reimagined the church as a part of a battle against injustice, arguing that he was not free until everyone in his community was free – from racism, from addiction, from poverty and other ills. This mission takes Glide from opening soup kitchens and providing after-school childcare to tearing the cross down from the altar and hosting rowdy celebrations instead of sevices. Beyond the Possible chronicles Williams and Mirikitani’s efforts to use the church to do everything from lobbying for school renovations to building self-operated tenements for the poor. Through all of this, the church operates under the concept of unconditional love. Since this blog is worried first and foremost with aid and development, I thought I should concentrate on themes that were transportable to other causes. Fighting poverty in the Tenderloin may be different from fighting poverty in the Sahel, but a goal like that requires some of the same tactics and understandings about how to get the job done. One theme of the book, and perhaps this is a given, is that all of Glide’s projects were grassroots efforts to improve the community. Chapter after chapter, the authors tell anecdotes about members of the Glide community coming to them with a problem, and then working with members to find a solution. The diligence with which Williams listened to and worked with the community was a direct cause of programs like inexpensive mammograms for the poor and civilian efforts to document police brutality. There are several instances when the board at Glide expressed skepticism or even disapproval of Williams’ methods, but he often paid more attention to his community than to his superiors. At Glide, as in aid and development, some of the best programs are ones that answer the needs of the community, not the perceived needs of the donor. When members of the church run onto the stage to interrupt his sermons, Williams hands them the mic. Empowering the marginalized to speak is just one example of Williams’ inclusive nature, but it is also a tool that should guide any sort of community-building. Even a successful story like Glide has its moments of failure. Mirikitani mentions several times when she struggled with Williams’ attitude as he grew more and more popular. As Glide became more well-known, she worried, Williams was losing his way. The authors’ back-and-worth writing depicts a constant effort to stay the course and to continually grow – always creating new programs and always working on new problems. It is important to remember this in any line of work, but especially in development. As large programs grow, they tend to lose their message, becoming blind to the unintended consequences of their presence. Development workers, like human rights activists, are in the business of putting themselves out of business. If we can help target countries develop economically, if we can encourage actors to respect human, civil, and political rights – we can go on to other things. It is important to continually work on these goals and to continually find new methods to make that happen. This is a central part of Glide’s success over the years. The book itself is about how two people transformed a church into a growing inclusive community. The dividing of the story between two authors helps show two different sides of the struggle to build Glide. Ultimately, you get a sense that the church will always be a work in progress, but always trying to succeed. The story can be about more than a church, though – it’s about a community. As such, it has some lessons for anybody who is trying to better their community.